Seriously appealing interpretation of a Basket of Chips quilt, so called because of all the small pointy triangular pieces filling it. 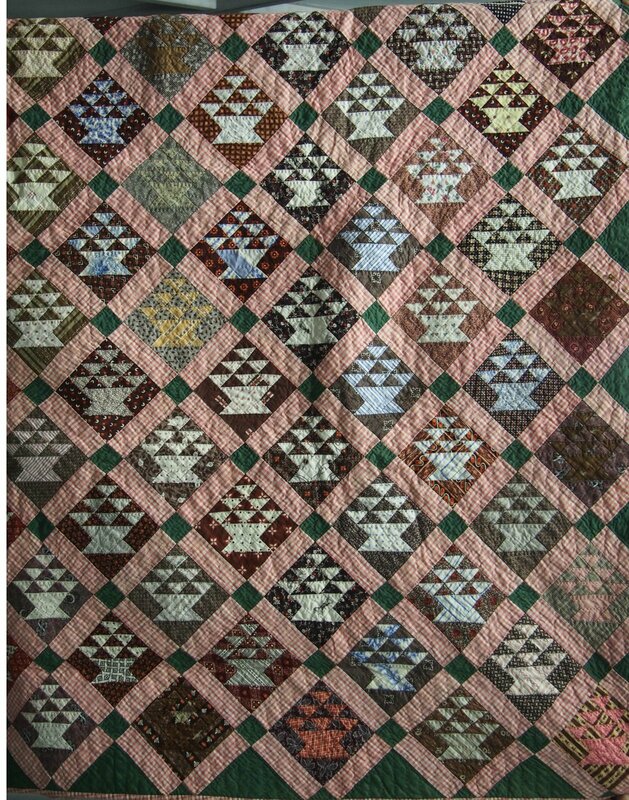 This example has plenty to differentiate it from commonplace basket patterns, including: small scale of the block about 3", blocks set on point to add dynamism to design; teeny scale plaid watermelon red sashing to unite the diamond shaped blocks, bordered all around. Baskets face all in the same direction so it's pleasing to hang too, Fresh barely touched condition.